Huawei announce the A199: A mid-range Android with a 5" screen! Huawei seem to be churning phones out at the moment just like their rivals and the latest phone to be announced is what is know as the A199 or the G710! The phone is pretty sleek actually, it's got a nice thin 8.9 mm profile, it's relatively heavy coming in at 160 grams, but it's also going to be quite a powerful device on the inside! 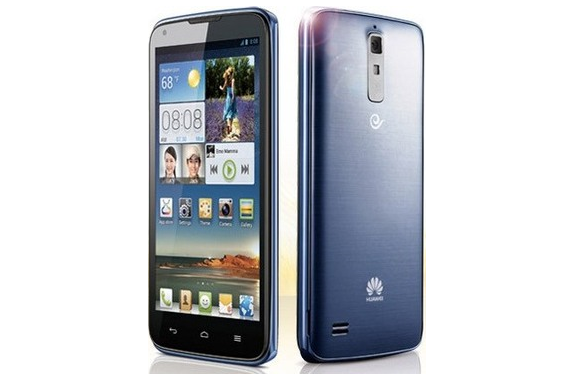 Under the hood there's a quad-core 1.5 GHz K3V2 processor from Huawei which is paired with 2 GB of RAM. That pairing should be more than enough to push Android 4.1 Jelly Bean with it's Emotion UI onto the 5" 720p display. The whole package is pretty good here you get a solid if not spectacular 2,150 mAh unit, an 8 MP rear and a 1.3MP front camera arrangement, 8GB of internal storage which is microSD expandable with cards of up to 32GB. Aside from that there's the usual array of connections which include the staples; Wi-Fi, Bluetooth 4.0 and GPS. This is also a dual-SIM device and we're not sure how much this device will set you back, but assuming it's priced well it'll be a popular little device!